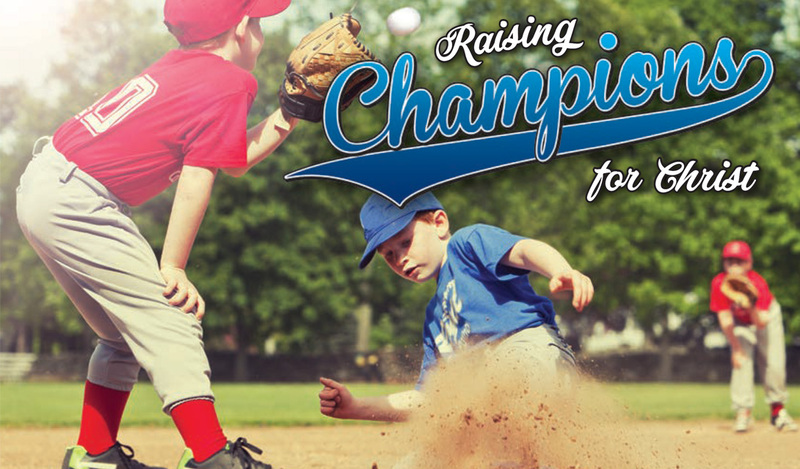 Easter Sunday, April 21 This Sunday on Easter we’re starting a new sermon series called “Raising Champions for Christ.” We’re going to spend six weeks on the subject of Biblical Christian parenting. The big idea of the series is this: If we raise our children to succeed in athletics, academics, or the arts, but they go to hell, then we have failed them. As Christian parents we must make sure that our priorities are in order, and that we are not going with the current of culture. We only have eighteen years. Let’s make them count for eternity! Hope to see you Sunday! Come early at 9:30 for coffee and refreshments! • Hot coffee and refreshments! Free! • Transformational Bible teaching that applies to your everyday life. • Comfortable theater seating with arm rests and cup holders. • Modern music that is upbeat and inspirational. • Casual dress (just wear what’s comfortable). • A welcoming, laid back atmosphere. • The worship experience begins at 10 A.M. and lasts one hour. • A top-notch nursery is available for 6 weeks through 3 years.